Join this 4-hour tour of Quito, recognized by UNESCO as a World Heritage Site because of its historical buildings, impressive churches, interesting museums and bustling plazas. Visit Panecillo Hill and enjoy a panoramic view of the city. 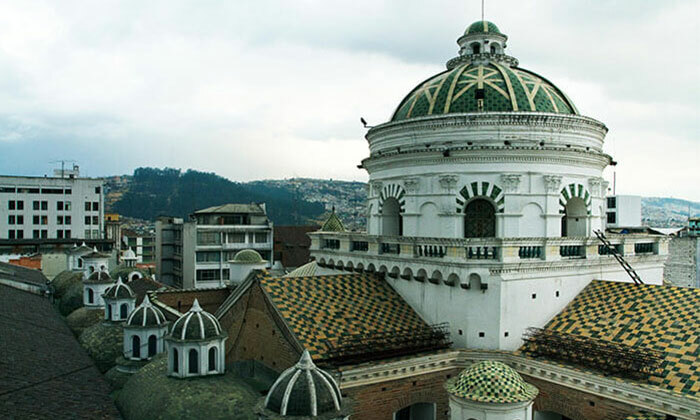 Continue to the impressive Basilica del Voto Nacional and the “San Juan Mirador,” where you can take in the Colonial center of Quito with us.